Richard, 29, my autistic son, has always been enthusiastic in the kitchen. As a youngster, he loved being given tasks such as peeling vegetables and making buttercream for iced cakes (which obviously meant the reward of licking out the bowl afterwards.) As he grew in confidence he would take on chopping the vegetables and then icing the cakes. As long as he received detailed instructions and was reassured he was doing it correctly he was very happy helping alongside me. However, as Richard grew up and wanted to do more by himself I realised through his frustrations and questions, that most conventional recipes are written in a way that is challenging for autistic people to engage with. I found myself ‘translating’ familiar recipes, putting them into ‘Richard speak’, so that he could follow them independently. These became the first of many iterations of Easy Spoonfuls. 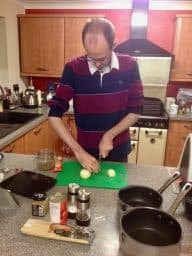 A good friend commented to me that there must be lots of other people in the same situation as Richard and that I should publish my recipes so that other autistic people could enjoy cooking, so I started work tackling the aspects of cookbooks that Richard found difficult, which included…. 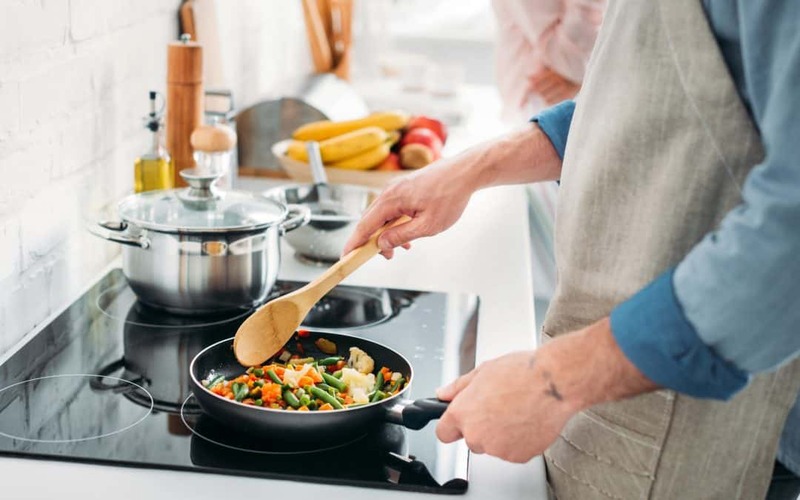 Many cookery books suggest getting all the ingredients out before you start and you see it on the television programmes but it can be very tempting to just start with the first few items listed. I am speaking from a lot of experience – please don’t do this! By having all the ingredients and utensils out ready on the worktop before you start cooking makes for a much more relaxed session. Having to start rummaging for an ingredient mid way through a baking session is a melt down waiting to happen. It can be difficult knowing what the utensils look like – or where you need to start looking for the ingredients. All my recipes contain a straightforward list of ingredients, each one accompanied by a full colour photograph. I have included an icon against each stating if it is kept in the fridge, freezer or store cupboard. Utensils also follow the same layout and although my utensil may not look exactly the same as yours they just need to do the same job. For example I explain that my red silicone spatula will do the same job as the wooden spoon you may have in your drawer. The area Richard finds most challenging about conventional recipes is doing more than one thing at a time. While creating Easy Spoonfuls I structured the recipes to focus on one process at a time. Once Richard had this very clear step-by-step format to follow it was a revelation for both of us, as suddenly he had this new found confidence. He could follow a complete recipe through without feeling unsure – as he had all the necessary instructions in front of him, and more importantly didn’t have a lot of unnecessary information to wade through. Richard finds it really frustrating and confusing when the recipe method states ‘add the flour’ and he has to go back to the beginning and find out how much flour is needed. He would find it hard to get back on track again. When I initially typed out recipes for him this repetition was a key feature, which has carried through into Easy Spoonfuls. 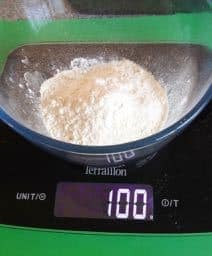 For example ‘Place the medium sized mixing bowl on the scales, zero and add 100g Self-Raising Flour’, is much more user friendly than ‘weigh the flour into the mixing bowl’. The following excerpt is taken from a book explaining how to cook an omelette. These are the questions I could expect from Richard (and who can blame him, the recipe is so ambiguous)…. Is it 2 or 3 eggs that I should use? I like Rosemary but I hate coriander and how much do I use? How long do I need to heat the pan for? What is a knob of butter? How do I even start with tilting the frying pan?! Timing is so important in cooking, and this where many people with autism excel – Richard works in precise minutes, no guesswork in his world! So the timer on his mobile phone has always been invaluable. He knows that the alarm will alert him when to turn something off, take a dish out of the oven or even when to stop stirring a sauce. When someone has been cooking for a long time they probably know when a sauce is finished by the look and texture but Richard still struggles with this. How thick is thickened when told in conventional recipes? Easy Spoonfuls gives precise timings for each step of the recipe as well as photos and short videos to show the process in close up. 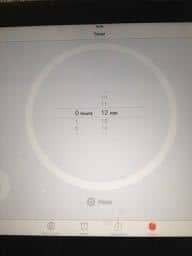 I give instructions for continuing with part of a recipe while the previous task is on the timer. The second task is explained in detail and I then provide a step explaining what needs to be done once the timer goes off for the first task. So there is no need to remember to go back to a previous task – I explain and give reminders at each stage. It is a bit like following a story – you just start at the beginning, follow the recipe through and you arrive at the end with a completed dish! For the topping….900g freshly-cooked potatoes, 25g Butter. So do I cook the potatoes at the beginning so that I follow all the preparation instructions first? But if I do this then I will worry that by the time the filling is made the potatoes won’t be freshly cooked and would be cold – does that matter? and so on…. With Easy Spoonfuls I explain how to prepare the potatoes, start them cooking and put the timer on. Whilst they are cooking I give instructions for preparing the onions and carrots. I ensure that there is enough time for this preparation. When the timer goes off the potatoes are drained and mashed (with detailed instructions on how to do this) This way there is the least amount of ‘empty’ time during preparation of a meal but multi-tasking hasn’t been an issue as each step is followed in order. People take different amounts of time to prepare a meal and I wanted to avoid any feelings of stress or disappointment. So within in each recipe I have chosen to only state the cooking time, rather than include the preparation time as well. I have created a template to record how long each recipe took, making it easy to know when to begin the meal then next time. 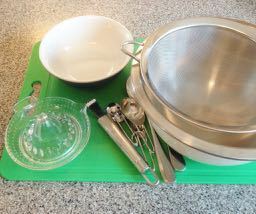 Many of the meals in Easy Spoonfuls can be prepared in advance. For example you may have more time during the morning to prepare a Shepherds Pie and then follow the remaining instructions to cook it in the evening. This also cuts down on the pressure many of us feel to get a meal on the table when everyone is hungry. There are also detailed instructions on freezing meals making it easy to portion meals up and freeze for later. As parents we all know the importance of building self-esteem and confidence; and baking or cooking can be part of this process. Logic, Process, Routine – this is what is needed to become independent in the kitchen. Easy Spoonfuls makes it easy to start this process and keep the momentum going. 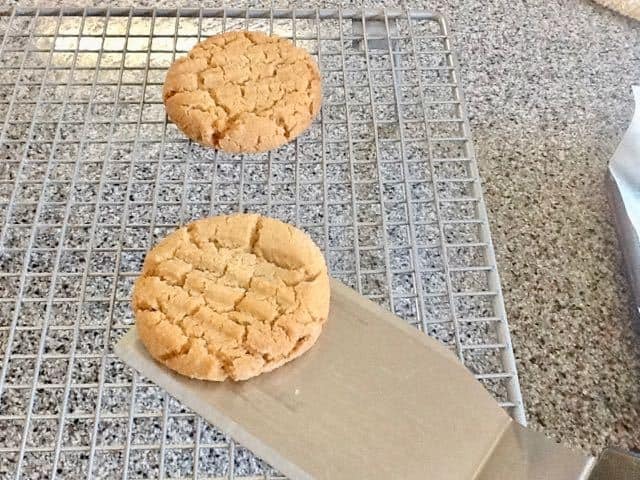 Baking is often our first experience in the kitchen and a successful batch of biscuits will do wonders to encourage another baking session! By building confidence with baking the next logical step is to learn full meal preparation. All Easy Spoonfuls content follows the same logical structure throughout making the transition from baking to meal preparation seamless. When faced with a new cooking technique videos can play a big part in confidence building and independence. A video can be watched many times over – without relying on the patience and knowledge of someone else stood beside them. Easy Spoonfuls features many short, close up videos showing exactly what needs to be done at each stage of the recipe. There are no words to distract, just a visual of what is needed. Recipes give structure to enable them to become truly independent in the kitchen, and within Easy Spoonfuls I have made the process as simple as it can be. I have worked hard to anticipate questions and, as far as possible, eliminate the need for input from a parent or carer. When there is no need to ask for your help at every step of the way, and you don’t need feel the need to step in and help, this is when their confidence really soars. Richard has been cooking, with increasing independence, for over 10 years now. In that time he has grown enormously in confidence. We all like to receive praise for our efforts and it means a lot to him. Seeing his face light up when others rave about his culinary skills is pure joy. That was my inspiration for writing Easy Spoonfuls; to make cooking accessible to everyone. Great post, I will be passing this on to other families I know:) Tell Richard I bet he’s an amazing cook. That’s so kind of you to share the post Chasisty. Richard just said that’s a lovely thing to say – and that he is quite a good cook!! Love it! What a wonderful thing to do for your son! Thank you Tanya – I am absolutely thrilled with how much joy cooking brings Richard. Its great when everything falls into place.